I took this photograph of a path leading down to the Indian Ocean at dusk as I was leaving my local restaurant a couple of weeks ago. 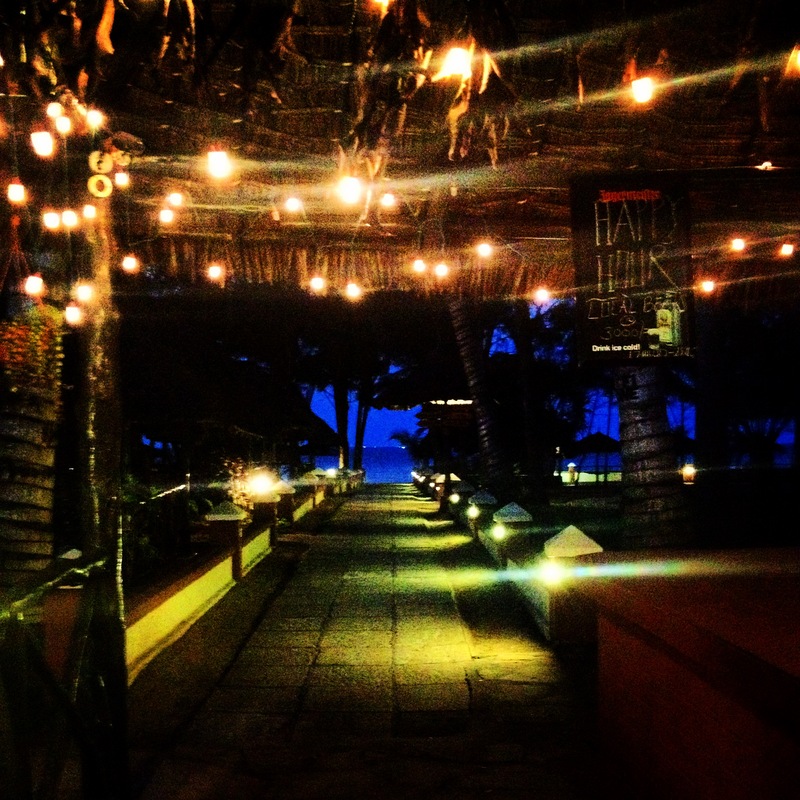 The path, at Sunrise Beach Resort, in Kigamboni, Tanzania, looked particularly beautiful as it had been lit up with fairy lights to celebrate Christmas. But I couldn’t mention the subject of paths without making reference to my favourite book and namesake, Alice’s Adventures in Wonderland, and the quote about which direction to go, said by the Cheshire cat. Much as I have always wanted to lead a life with direction and focus, looking back at my life, and seeing the many different paths I have taken – different cities, countries, careers, people and places – I see that I have travelled from place to place, not really knowing where I am going. 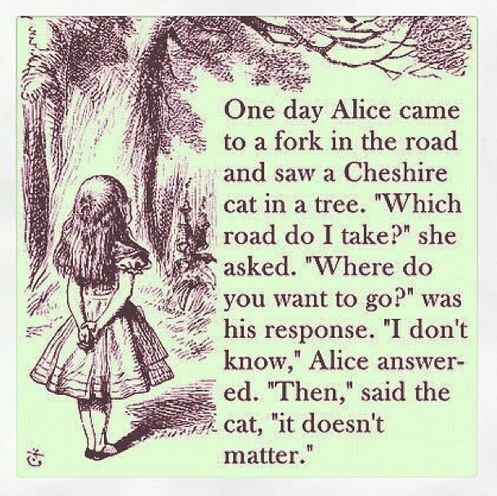 In short I appear to have subconsciously followed the advice of the mischievous Cheshire cat, to take whichever path I want, which so far has led to an interesting, varied and somewhat unpredictable life – travelling along many different paths, enjoying my own adventures in wonderland.